HelpDesk is a fully automated web based utility to request help or doubts. Helpdesk is used to manage a company’s helpdesk. 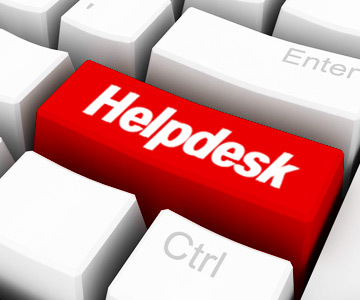 A helpdesk is a central point for customers to turn to in case of a problem or enquiry. It may be used by the customer to gain information before making a purchase, or after the purchase if the customer experiences difficulty with the product. In today’s technologically driven world, helpdesk software is an essential component of the service industry’s customer relations function. Traditionally, the helpdesk of a business was accessed over the telephone. This structure has many inherent weaknesses. For example, customers generally have to wait a long period of time for an operator to come on the line. In the Internet era, however, helpdesks are reachable every hour of every day through email or Web forms. This has eliminated the need for companies to continually expand their telephone management systems. Copyrights 2011 All Rights Reserved.